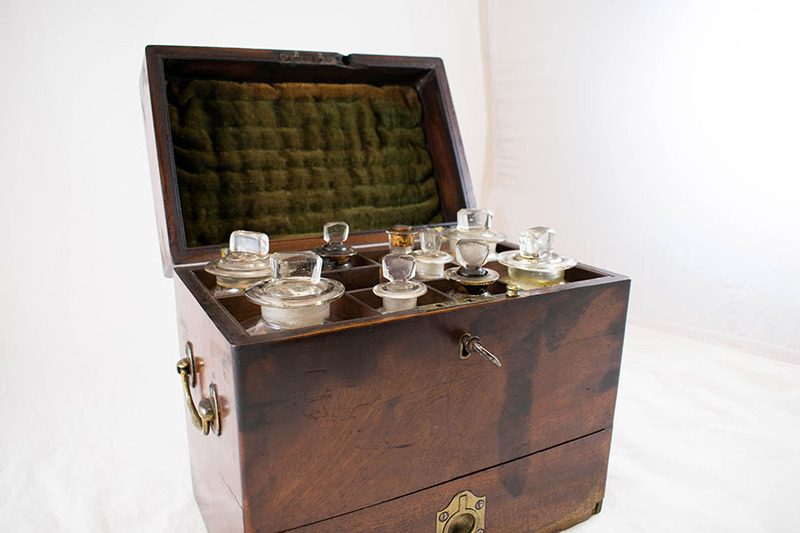 A George III mahogany apothecary's box, the hinged lid enclosing fitted interior with bottles, above fitted drawer. 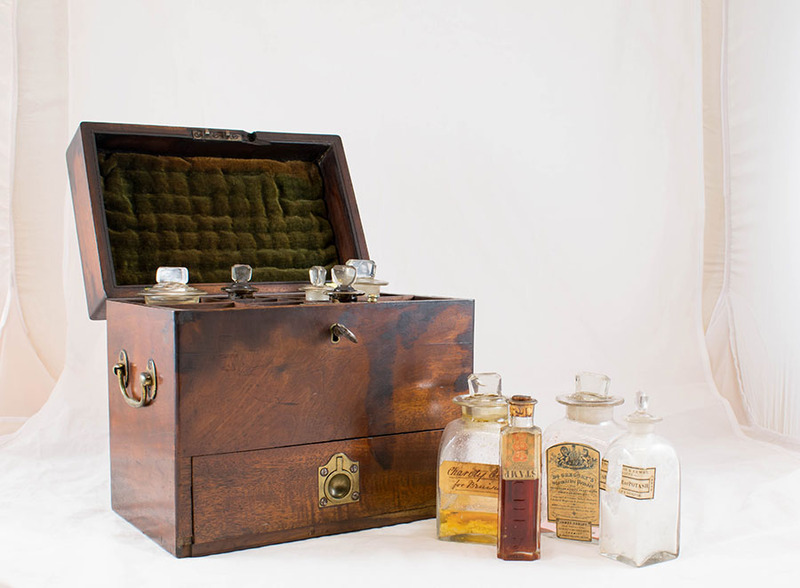 Similar to one illustrated in Sotheby's Fine scientific and medical instruments, cameras, weights and measures, 1985, no. 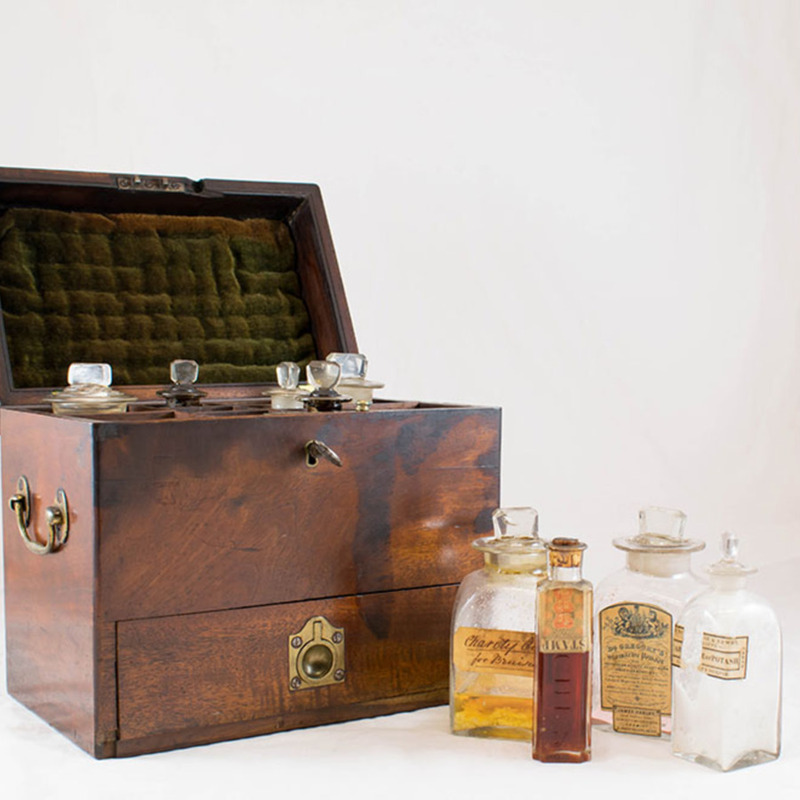 211: a 19th century mahogany medicine chest, the hinged lid enclosing a series of bottle compartments, single fitted drawer with recessed brass handle to base, brass drop handles to either side. 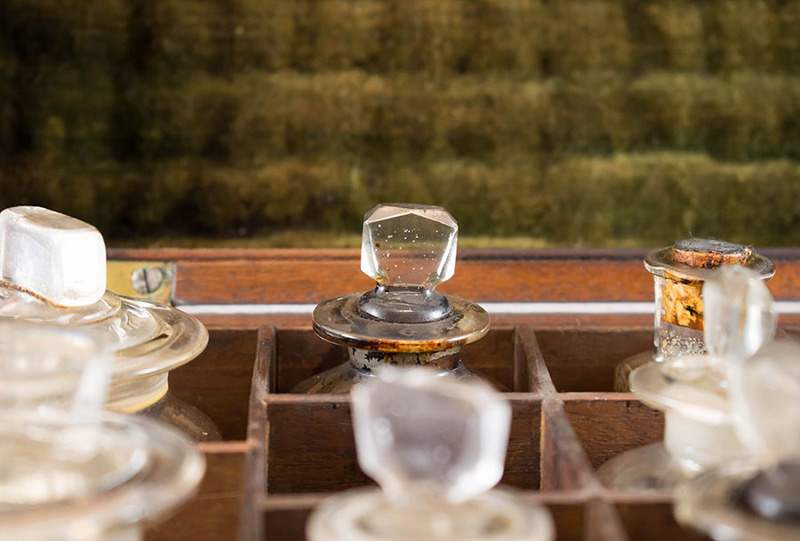 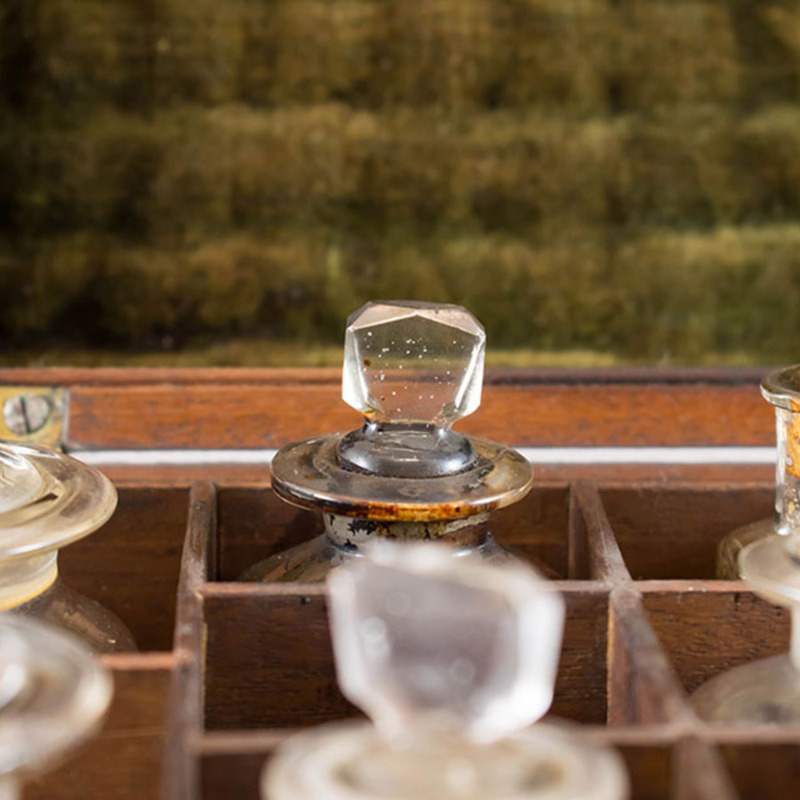 “Medicine Chest,” Heritage, accessed April 24, 2019, https://heritage.rcpsg.ac.uk/items/show/109. 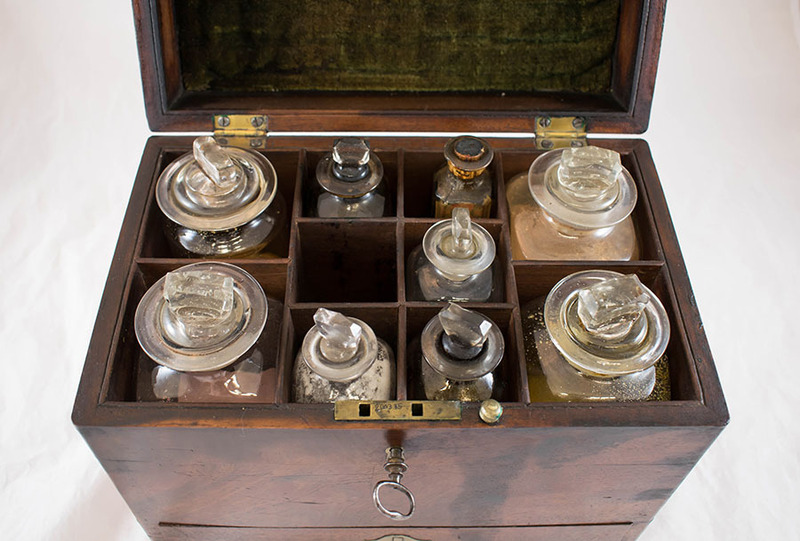 Description: A George III mahogany apothecary's box, the hinged lid enclosing fitted interior with bottles, above fitted drawer. 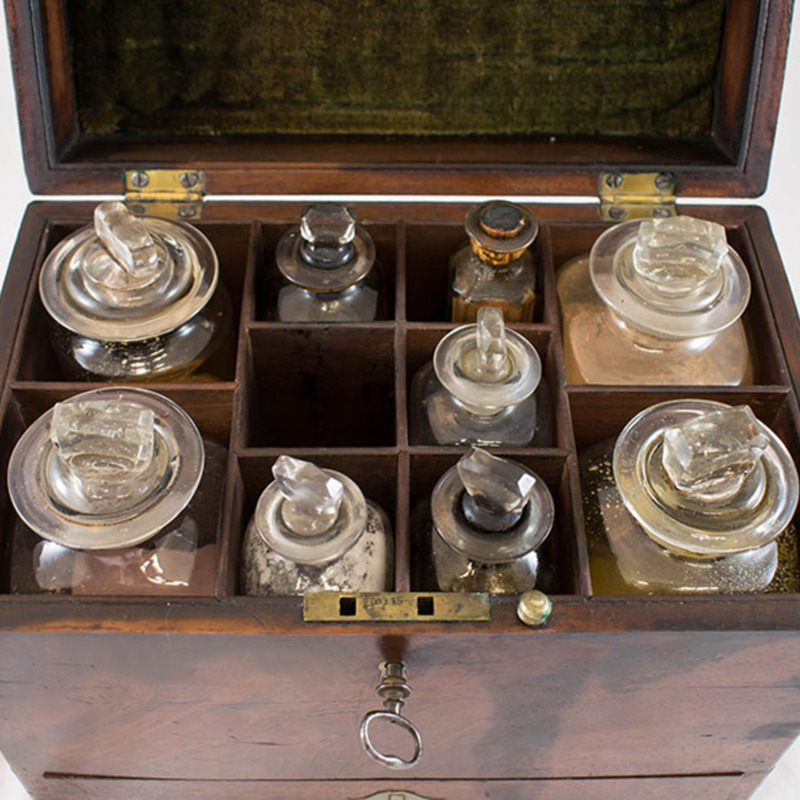 Similar to one illustrated in Sotheby's Fine scientific and medical instruments, cameras, weights and measures, 1985, no. 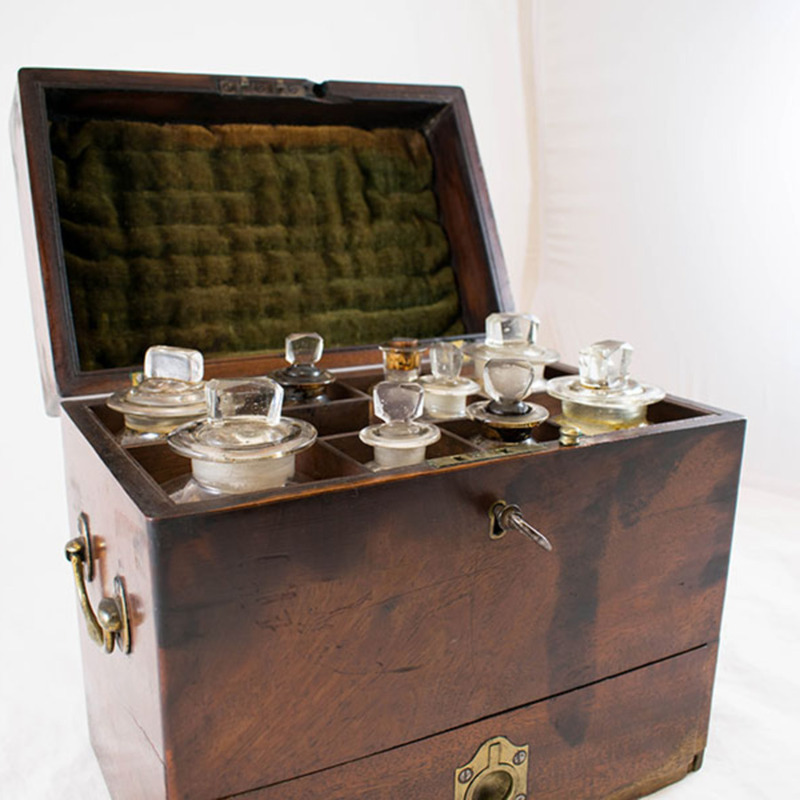 211: a 19th century mahogany medicine chest, the hinged lid enclosing a series of bottle compartments, single fitted drawer with recessed brass handle to base, brass drop handles to either side.